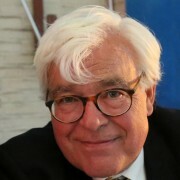 On initiative of the Christian Democratic Party CDA, Dutch Parliament has instructed the Dutch Ministers (who reside in The Hague, hence the “The Hague” reference in the title as a metaphor for Dutch government) to study the possibility of an artificial island in the Northsea between Rotterdam and IJmuiden. 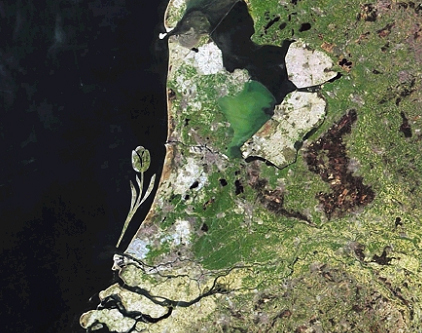 IJmuiden is the access to Amsterdam Harbour. 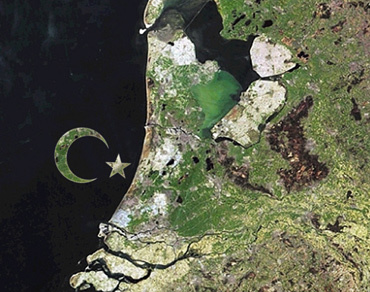 Its secondary function would be to protect the weak Dutch coastline that seems under threat by global warming. Not a bad idea now so many Dutch contractors are getting a lot of experience by their involvement in the Emirates Islands building and helping New Orleans out with advice about flood protection. In the proposal the Island gets a tulip form. The tulip is one of the national symbols of The Netherlands. Most marketeers who use it as marketing symbol tend to forget once the Dutch “traders” “stole” the tulip bulbs from the Turks and initiated the Tulip Mania. Some “Turkish Delight” as consolation in case Turkey won’t become a EG member? However I do like the Tulip idea! You seem to imply there are no workers anymore:-) Okay Labour would be more chic….